The Piggyback Rider® standing child carrier SCOUT model has unlimited year-round use, while hiking, shopping, watching, wandering, bonding at amusement parks, sporting events, markets and everywhere else you may go. Supports a child 2+ years and up to 50 lbs. Designed for toddlers and older children, the Piggyback Rider®, is a compact, lightweight, sturdy standing child carrier. Feel safe and secure with our upgraded adult carrier with 2 handles and Child Safety Harness which is included. One of the top benefits is your child's hands are off your face and hair and securely standing firmly on a non-skid bar. The sturdy, unisex design functions like a standard backpack, distributing the child’s weight at your core enabling you to walk standing straight up in a natural posture with your hands free. Dad Invented, Mom Approved, parents and kids love the activities and fun while actively going from one place to another with the Piggyback Rider SCOUT child carrier. Made of high quality climbing components and engineered for strength and safety, it weighs less than 3 pounds! Take it with you even if you don't need it. It's a lifesaver. Toddler Carriers - Piggyback Rider Standing Child Carrier - Kids really dig the height advantage too! Weighs less than 3 lbs. Our daily shipping cut-off time is 11:00am MST. Orders placed before this time will ship out on the same day, otherwise it will ship the following day. Please account for this when choosing your shipping method. Contact us for questions, help or more special help for vacation or INTL travel locations. *One Promotion or Coupon per order. May not combine coupons or promotions. Subject to change without notice. **INTERNATIONAL SHIPPING NOTICE: Shipping outside the USA may result in additional fees, duties or taxes which are out of our control. Any items being returned due to these fees are subject to pay any fees from the shipping company. Before ordering, we recommend you understand your country guidelines. Feel free to contact us before purchasing. We, Piggyback Rider® have AUTHORIZED RESELLERS around the world. If you do not see their website or listing connected here, they are not authorized to sell. We are the manufacturer and only seller on Amazon. Buying from any other vendors would be at your own risk and will void your warranty. We will accept returns within 30 days from purchase, buyer must cover return shipping cost. If you have any problems with your Piggyback Rider, please contact us before leaving feedback and we will help to correct the situation. Returns: We assess a $10 return / inspection / cleaning fee for all products returned that have been opened and used. Make sure your return is clearly marked with your name and RMA # so returns can easily be identified. Once we receive your return, our warehouse will inspect it and approve the refund. All returned items must be in good and re-sellable condition with original packaging and instructions. Used and damaged merchandise cannot be returned. Upon receipt of the product, we will inspect it and a refund or replacement will be processed. If the item is found to be defective, we will replace it at no additional cost. 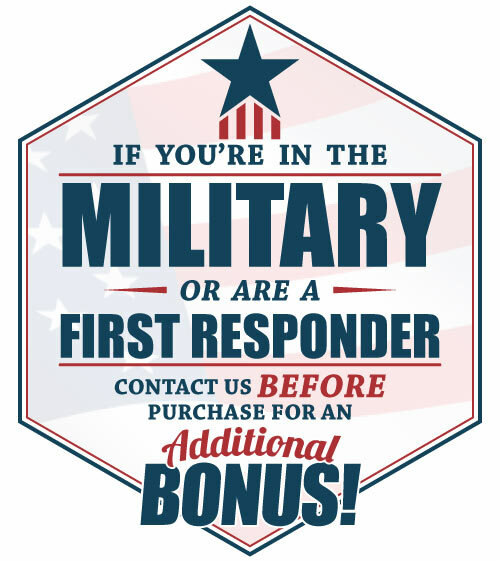 All returns must be accompanied by an RMA (which will include the RMA# and Ship to Address) from us. So much more convenient than a stroller! I wish I would have known about the Piggyback Rider sooner! Our daughter is 4 and absolutely loves it. So convenient for shopping, hiking and everyday use. My only complaint is that the bar is too narrow and sometimes hurts her feet to stand on it too long. This is a great product and so wished I had this several years ago. It is so much easier to snap my son into the carrier and take off than trying to keep up with them around a store or whether they are in or out of a buggy. We have already used this to get groceries and he rode in it the whole time. He loved it and has the best seat in the house. As keen hikers, we are encouraging our 5 year old daughter to share our love for the outdoors. She’s too long for the traditional carriers and doesn’t like to be stuck in, as she likes to join us walking but just can’t manage the distance. The piggyback rider is the perfect compromise. She climbs on when her little legs get tired but can get off as and when she fancies a walk / to explore. The design of the backpack makes it easy to carry, it’s comfortable on the back /shoulders and is very lightweight and transportable. We even use it to go walking to the local mall, something we couldn’t have done with our 5 year old in tow prior to owning the piggyback rider. We’ll Be using it for Disney later in the year as well - genius! Would highly recommend to anyone and everyone! Best thing I packed for Disney! Watching people with strollers trying to get through the Disney crowds, I was so happy to have my toddler in the piggyback rider! Packed it in my suitcase so easily and used it all week at a sports tournament weekend for my older daughter. We logged over 10 miles a day easily and he could jump on or off as he wanted. He loved being a head above to see all the parades and sights. So many people stopped to ask what it was and take a pic of it. They had never seen it before ! I couldn't be happier with a purchase ! I bought it for my son and daughter in law, they hike a lot. They have it a thumbs up. We love the concept of this product because older children can have an option to walk and not be too much of a strain on the parents when they need a piggyback ride along the way. They gave great customer service when I called to inquire about replacement of a part -and shipped one out to us. My daughter loves it. Easy to use and best of all she gets to see so much more. MUD FLAP (Black) - Keeping dirt off your clothes! WATER BOTTLE HOLDER - So you can be hands-free! Become A Piggyback Rider Affiliate!